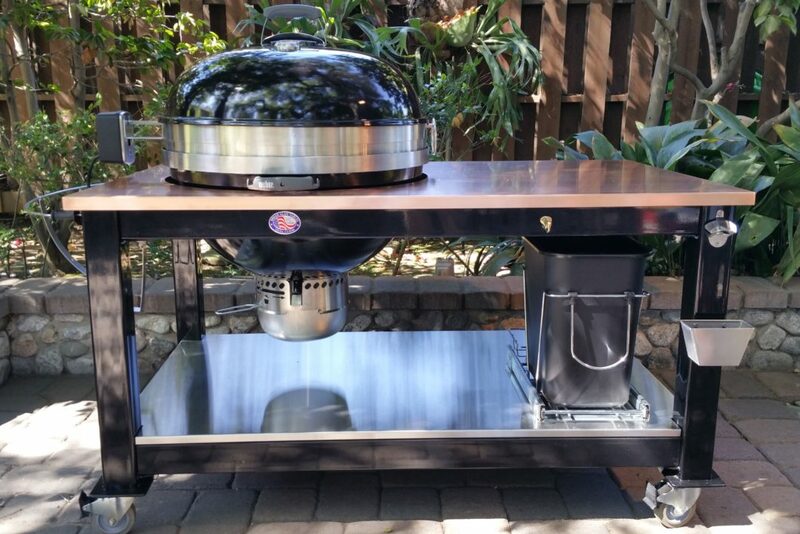 This Brian Alan Table was built to accommodate a 26” Weber Kettle Charcoal Grill. This table was built with a Copper Top on a Black Powder Coated Frame and a 316 Stainless Steel lower shelf. Standard features include a Stainless Steel Lid Holder, Bottle Opener and Catch Can, Brass Utensil Hangers and 4” Solid Rubber Locking Casters. Other custom add on options include a Pull Out Charcoal Container and a Stainless Steel Rotisserie Ring.